Randy brings over 20 years of consulting, agency and software experience, in both execution and leadership roles, to Siteworx. He has served as a strategic advisor and program lead for several large manufacturers and distributors where he was responsible for planning and executing on their digital transformations. 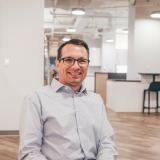 Most recently Randy has been serving as Vice President of Business Development and Digital Strategy for Insite Software where he focused on developing and supporting a strategic partner network. Prior to his time with Insite, he was the Vice President of Digital Marketing for Acquity Group/Accenture Interactive. He joined Acquity Group through the acquisition of his digital agency, Anova Group, to build a digital marketing practice from the ground up that tightly integrated business services with Acquity’s core technology implementation services.